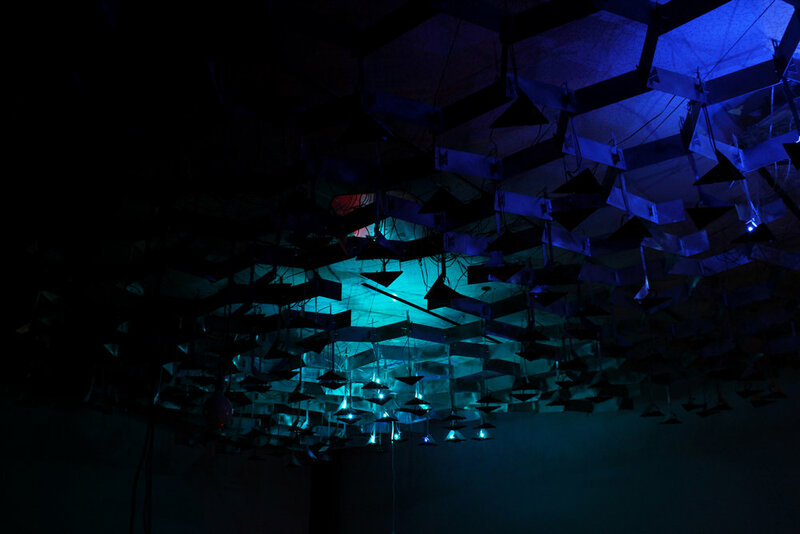 Each triangular tile is an independent circuit that reacts by creating a sound and light pattern. These groups of mini-computers communicate to each other with infrared lights. Together, they exhibit swarm behavior like a flock of birds or a school of fish. When a flashlight is pointed at a tile, a chain reaction begins that spreads through the system. These reaction patterns behave differently based on a probabilistic algorithm, creating a continuously changing texture of sound and light.